Orlando Medical Institute’s EMT program has experienced and highly qualified instructors and staff that are committed to the success of their students. Students will obtain the knowledge base and training to recognize signs and symptoms of illness and/or injury through providing emergency medical care. Students upon completion of this program will be prepared to make quick decisions based on classroom, laboratory, simulation, clinical and field experience. OMI’s Flipped classroom has become a growing pedagogical model in education across the United States. The flipped classroom module is based on at-home learning for core content, followed by in-class application level activities to reinforce material learned at home. A flipped classroom enhances the student-teacher interaction, satisfaction, and feedback. Evidence from other disciplines report improved student learning in a flipped setting classroom. Upon successful completion of this program, all students will be eligible to take examinations for certification as a Florida State EMT and Nationally Registered EMT. Research has shown that this model is beneficial for students in EMT and nursing models. Data from a 2016 pilot study found a marginal increase in cognitive exam scores. Studies show that students receiving the flipped classroom content will score higher on exams than the national average and also shows the flipped classroom programs will have higher National Registry for EMT (NREMT) cognitive exam pass rates than the national average. Most EMTs work full time. Their work can be physically strenuous and stressful, sometimes involving life-or-death situations. EMTs typically complete a postsecondary educational program. All states require EMTs to be licensed; requirements vary by state. 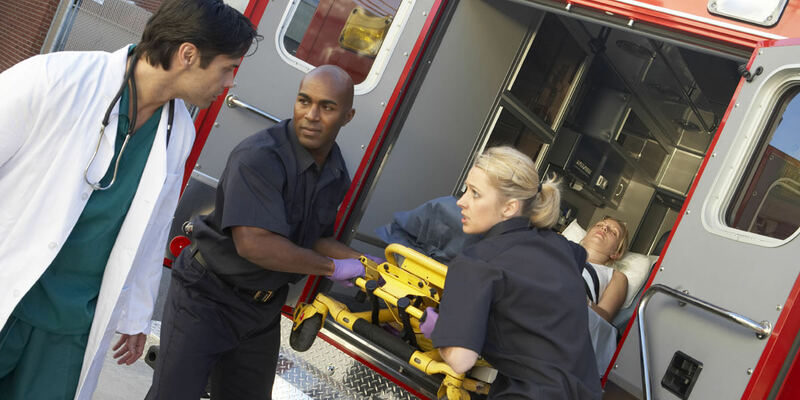 Further training taught at OMI in emergency medical services is necessary to meet all of the requirements before a student will be issued an EMT Diploma. Night classes are from 6:00pm – 10:00pm. Class will meet from 9:00am – 6:00pm. Question About Our EMT Program? The deadline to register for any of the EMT classes will be two weeks from the start date of the course. All of your admission requirements should be turned in, and your initial deposit should be made by this deadline.